Village signs is a series of caches based on the ornate signs that depict the heritage, history and culture of the villages that put them up (normally on the village green!). The Bromley sign was originally manufactured and erected in 1922, and was renovated in 1979 and resited in its present location. 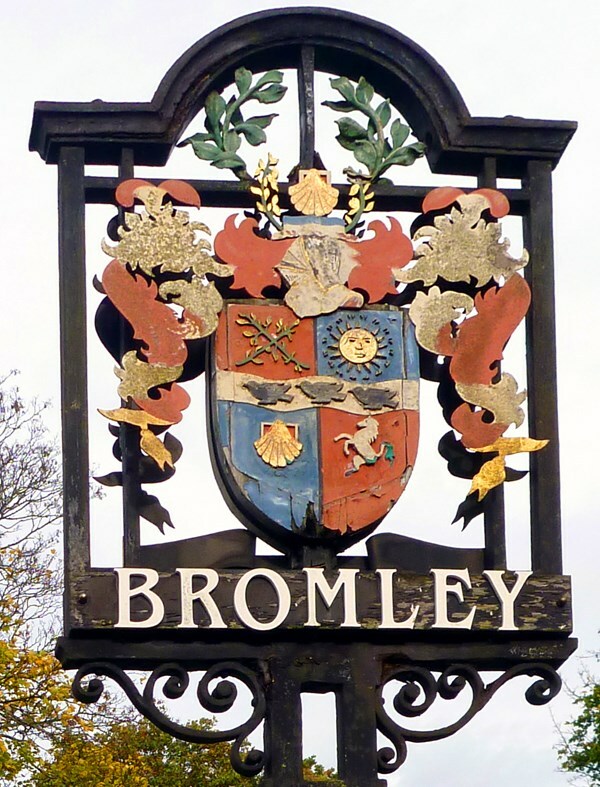 Bromley is first recorded in a charter of 862 as Bromleag and means 'woodland clearing where broom grows'. It shares this Old English etymology with Great Bromley in Essex. It is a market town, chartered since 1158, and an ancient parish in the county of Kent. The town developed around the market place, located at today’s Market Square, and grew along the old London to Hastings turnpike. Its location on a coaching route and the opening of a railway station in 1858 were key to its development, and the economic history of Bromley is underpinned by a shift from an agrarian village to commerce and retail. As part of the suburban growth of London in the 20th century, Bromley significantly increased in population and was incorporated as a municipal borough in 1903. Thanks to Smokeypugs for allowing a VS in such a large "village". The cache, a magnetic film can, is located a short walk from the sign. The location of the cache can be calculated from the plaque on the south side of the sign support.